Endemic to Venezuela, Colombia and Ecuador, this species is found in lowland forests with their long wet months followed by a short drier season ! 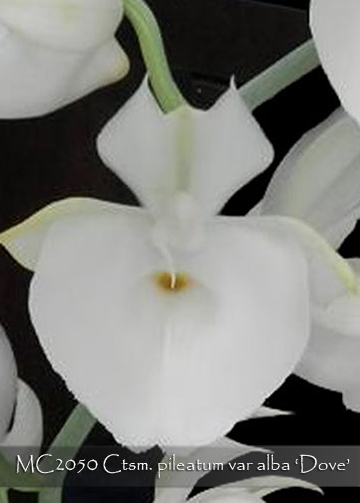 The alba form of this species is pristine white with just a whisper of color in its throat, presenting a sensational display of fragrant 4” very flat flowers on pendant cascading 12” inflorescences, each one carrying as many as 10 flowers and emerging from each mature pseudobulb. 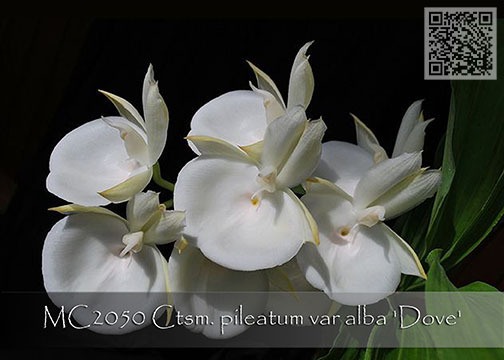 For something really stunning and different from this amazing species, the alba clone is Highly Recommended !